Barclays Bank offers a polite, friendly banking service whether you need assistance with your personal, premier, business or corporate banking matters. 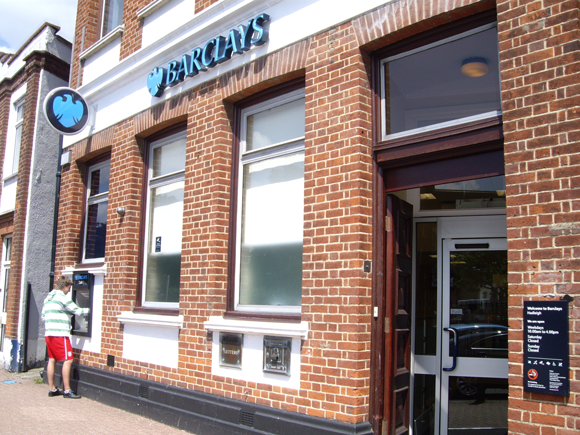 Barclays provide a professional, customer orientated service to each and every one of their customers. * I certify that this review is based on my own experience and is my genuine opinion, and that I have no personal or business relationship with this establishment, and have not been offered any incentive or payment originating from the establishment to write this review. I understand that Hadleigh.net has a zero-tolerance policy on fake reviews. WARNING : Using the above information for marketing purposes of any description is strictly prohibited. Asif's Post Office has an inviting and friendly vibe and boasts a range of post office services. Always excellent quick service. Never a long wait to be served and measured, which is exactly what we need for a 5 year old. Friendly and always ready to help. Best pharmacy in Essex! Please enter the characters shown in the image above into the textbox. The purpose of this website is to generate and increase local trade and business to Hadleigh, Essex. Support your local town and put Hadleigh Essex on the map. Please note-your email will never be sold, rented, or shared.